Bartholomew Broadbent is the CEO of Broadbent Selections and son of legendary auctioneer, writer and Master of Wine, Michael Broadbent. Bartholomew's career in wine began after picking grapes in Australia during his "gap year" between high school and college. He first worked in England, then in Canada and the United States, where he's currently based. One of Bartholomew's claims to fame is reintroducing Madeira wine to the American market in 1988; Madeira hadn't been available here since Prohibition! Through Broadbent Selections, founded in 1996, Bartholomew now represents wines produced all over the world. In our studio, he joins Paul to taste wines from Australia, South Africa and Portugal. Today, we welcome Bartholomew Broadbent is the CEO of Broadbent Selections to our studio. 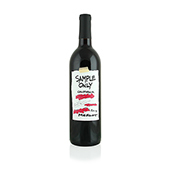 Sample Only Merlot has the deep color and complex flavors we'd expect from premium Paso Robles grapes, while Lapis Luna Zinfandel is a wonderful offering from the tried and true terroir of Lodi. 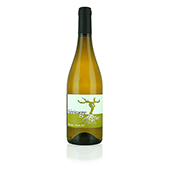 Our Classic white wines include elegant Chardonnay from Eden's Eve, with just the proper hint of oak, and a Loureiro from Bonina Vinho Verde, with a key lime zing and a slight effervescence. The Human Condition Cabernet Sauvignon is a perfectly aged offering from 2012 with balanced flavors of spice, blueberries, roses and chocolate – in short, it's "complex as hell." Les Frangins brings us a rich, bold Bordeaux blend from Périgord, just outside of Bordeaux. Another beauty from France is our Héritage Chadonnay, with its hints of flowers, grapefruit and apple..
Pacific Crest brings us a classically great Columbia Valley Cabernet Sauvignon, with dense fruit, chocolate and coffee flavors. Stickman is a lovely, aged California Cabernet Sauvignon with incredible complexity. Longtime California winemaker Adler Fels's Chardonnay is a class act all the way. And Ed declares Boccafosca's Verdicchio "out of this world."